It's time for another train! 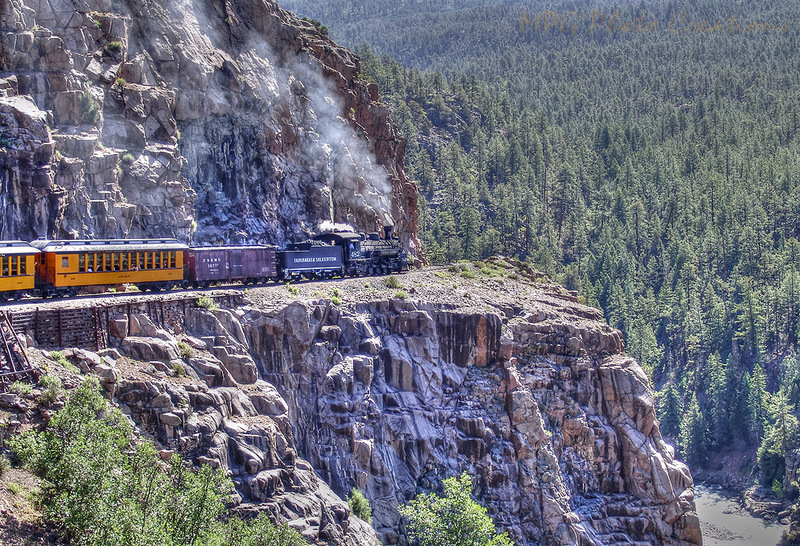 This is another of my favorite Colorado railroads, the Durango & Silverton. Here the train is scene on the High Line headed for Silverton. Very beautiful scenery on this railroad and a trip I highly recommend and need to take again myself.